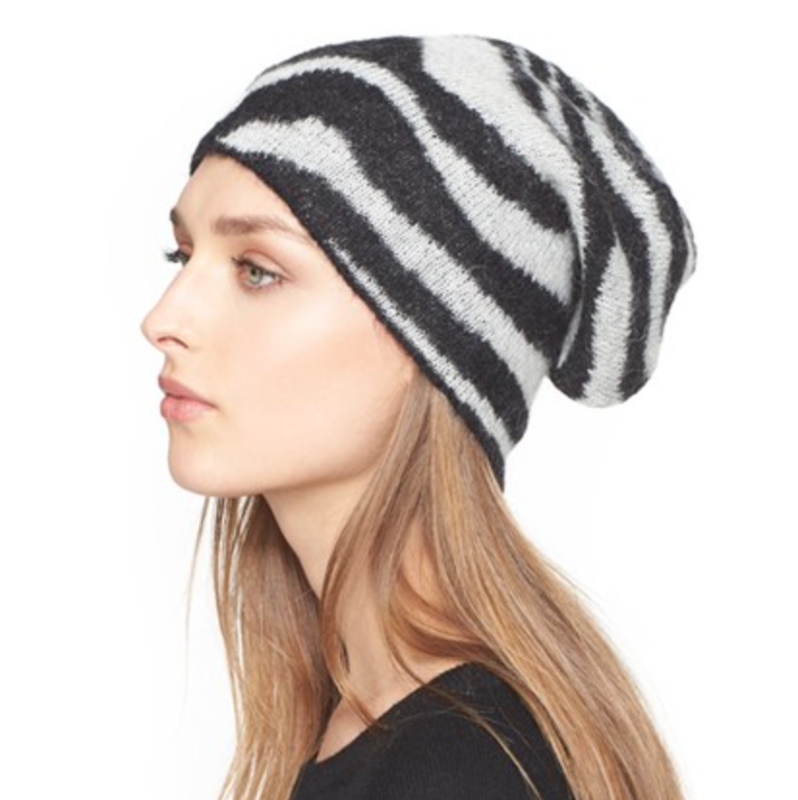 A plush mohair blend provides luxe warmth to this relaxed knit cap, while a jacquard-knit zebra pattern makes a wildly chic statement. 67% mohair, 28% polyamide, 5% wool. By Saint Laurent; made in Italy.